Our entire Spring/Summer ’14 collection is special for me because it was my first season with Berroco, but Booklet#344 Berroco Folio was especially fun to design. When you’re working with a yarn like Folio, it’s easy to get excited to knit! 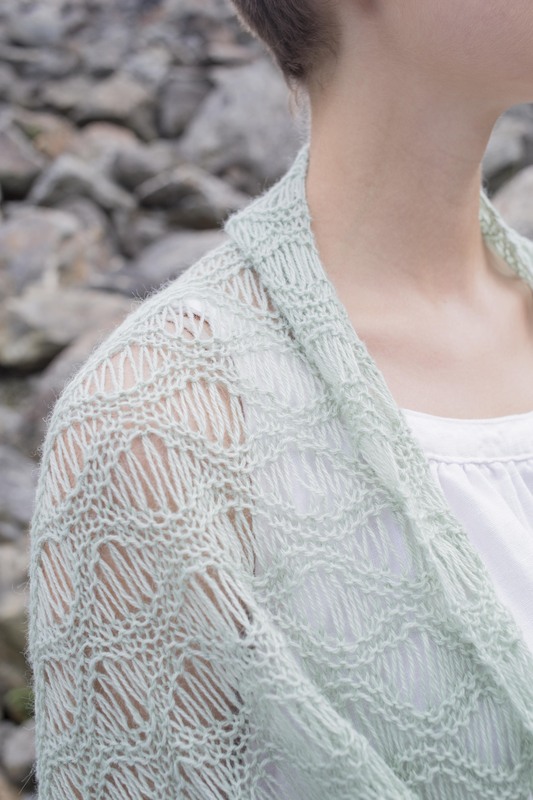 Light, soft and fluffy, Folio makes beautiful swatches on a wide range of needle sizes. I really latched on to this yarn, swatching with images of delicate silks and a japanese kimonos in mind for inspiration. I’m particularly proud of the lacey scarf, Enso. 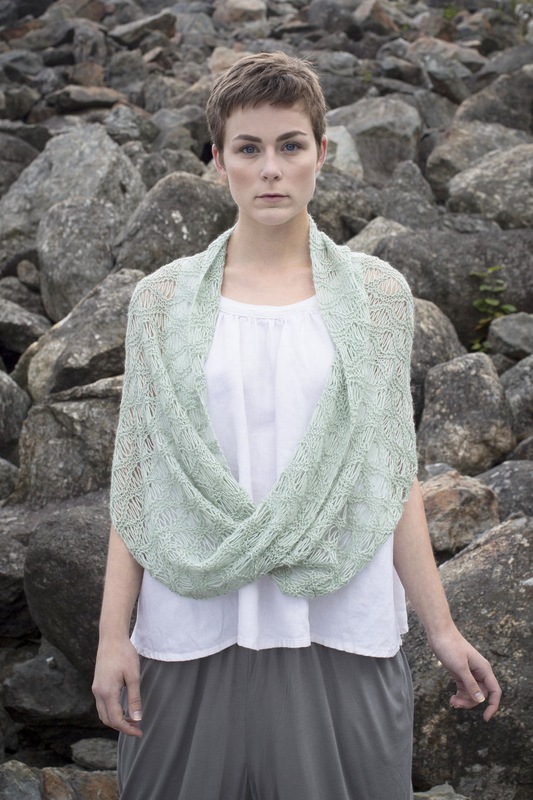 Designed in a sea foam blue with a stitch pattern that reminded me of frothy ocean, this piece is simple to knit but looks elegant when thrown on. Enso gently falls and drapes on the body, keeping me feeling safe and warm. Previous article Amy’s Thread: Which comes first the yarn or the pattern?